Installing equipment to provide employee tracking makes up a large part of our commercial work. Business owners often like to know when employees enter certain parts of a building. In some cases, these employee tracking measures also control access to the business, or certain parts of it. In this post, we will break down some of our most popular options to help businesses track employees. Just as with many services we offer, this aspect of commercial security has many potential solutions. The best option for you will depend on several factors. For example, your budget may will determine which of these steps you can realistically take. Determining the level of security you need will also go a long way towards discovering your solution. Additionally, the location(s) we install equipment always helps decide what we end up installing. In many cases, the proper solution involves a healthy mix of the ideas contained within this post. Let’s start with examining using surveillance to track employees within a business. No matter what type of business you run, cameras such as this model by Axis can help you track your employees and deter theft. Installing and servicing camera systems has long remained one of our most popular commercial services. Taking this step can add security in a couple different ways. For one, placing cameras in areas that have sensitive equipment or valuable products helps protect that vicinity. If anybody takes something, you will have the video footage to see exactly what happened. Furthermore, the presence of cameras alone helps deter potential thieves. Workers who know they may get caught for taking from their company are far less likely to attempt stealing anything. Additionally, adding cameras can also help remove suspicion from innocent employees in the case of a theft. If something goes missing and workers start claiming innocence, having cameras with a good overall view of the work environment can provide an alibi. The combination of extra security and the ability to help determine your potential suspects in the case of burglary makes installing video surveillance a great way to create a measure of employee tracking. Our Best Practices for Protecting Your Surveillance Cameras can also help you choose the right cameras and installation locations for the job. Now let’s look at a tracking measure that also controls who can enter certain areas of a business. Business owners may have a few different concepts in mind when they contact us about access control. After all, many different types of products fit under this umbrella. Card and fob readers, keypads, and even biometric scanners all fit under this umbrella. However, we can use our access control software to control and manage all of these types of access control technology. In our post detailing the How, Where, When, and Why of Access Control, we spell out the pros and cons of different types of readers. Regardless of the specifics, however, installing an access control system always provides unique security as well as easy employee tracking. Access control technology allows you to control who can enter which parts of a building, and when. Additionally, our access control software, powered by AMAG, even keeps track of failed access attempts. Therefore, you can catch employees who attempt to snoop, even if they cannot access the parts of the building they attempt to sneak into. We install many access control systems to protect both the exterior and the interior of our customers’ businesses. Now let’s look at an idea that takes this same concept to a smaller scale. This measure takes the “macro” concept of access control to a much more “micro” level. In many cases, commercial customers want employee tracking on very specific locations within a business. We offer cam lock systems that offer this service for filing cabinets, drawers, or cupboards that may contain hazardous or sensitive material. We provide this service through Medeco, one of the industry’s premier lock hardware providers. Just as with access control systems, Medeco XT equipment allows users to determine who can open which locks, and when. The cam locks that we install for this purpose require a specific type of key to open them. Both the lock and the keys track data for both successful and unsuccessful opening attempts. Additionally, the system tracks and creates alerts for unusual events. For example, one user opening a specific drawer several times within an hour could create an alert if desired. These features make intelligent cam lock systems a popular way to protect cabinets and drawers that hold valuables. Law enforcement agencies use these types of systems to protect evidence drawers or similar applications. Medical customers often use them to protect narcotics or sensitive medication. If you have a drawer, cabinet, or other storage space worth protecting, consider installing an intelligent cam lock system. Let’s look at another type of lock that can help with employee tracking in your business. Smart deadbolts, such as this model by Yale, add both security and employee tracking capabilities to any business. Installing smart deadbolts provides a unique level of security, convenience, and employee tracking. For starters, we offer Grade 1 smart deadbolts that offer more resistance to blunt force break-ins than many locks on the market. (Our post on Improving Employee Safety helps explain the system used to grade lock security.) These deadbolts allow employees to unlock them with a code. This improves security because it cuts down on the number of keys handed out for certain doors. Therefore, losing an office key may still not allow access to an office’s most important areas. Furthermore, these deadbolts also track which codes are used to unlock them, and at what times. 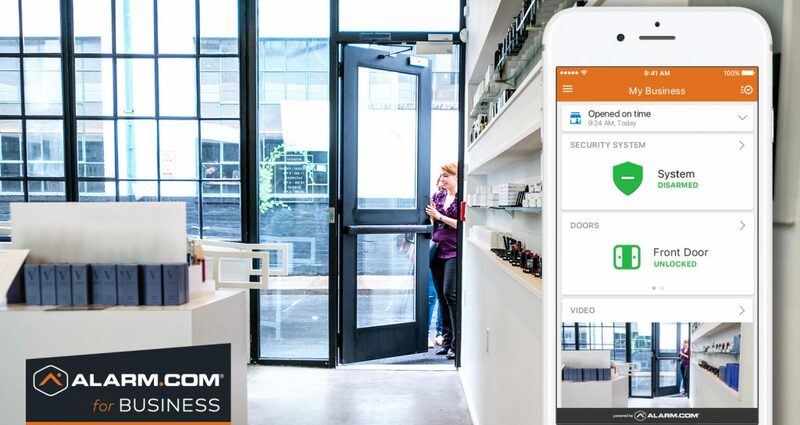 While access control systems use software to do this, smart locks store the events internally. If something goes missing from a room protected by a smart deadbolt, you can easily track use of that lock. Additionally, some of these locks even allow for remote locking and unlocking. If you need to grant one-time access to someone, such as a cleaner, you can do so without lending a key. Up to this point, we’ve discussed employee tracking options that involve installing new security equipment. Now let’s look at some options that anyone with a security system can take advantage of. A popular option with security system customers, open/close reports allow you to easily track your alarm’s activity. Since many employees have the ability to disarm their businesses’ security system, some commercial customers assume alarm systems do nothing to thwart employee theft. However, open/close reports allow you to track who arms or disarms your alarm, and when. This means that you can make sure employees come in to work on time and that they disarm the alarm system when leaving. As long as you provide different codes for different employees, you can also tell which employee is arming and disarming the security system. Therefore, employees who use their security code to enter the building after hours cannot do so unnoticed. Adding “supervised” open/close reports to your monitoring service adds a real-time element of employee tracking to this concept. “Unsupervised” open/close reports come in the form of a periodic email that details security system disarming events (or “openings”) and armings (“closings”). “Supervised” open/close reports also allow you to set an expected schedule for these events. For example, you may expect someone to disarm the security system by 8am. At the end of the day, you could expect the system re-armed by 6pm. If either of these events fails to take place, our central station will call and alert you. Let’s look at a different type of security system monitoring service that allows you to track employees’ use of your alarm. Adding interactive cellular monitoring to a commercial security system provides remarkable control over your alarm. Our cellular dialer, powered by Alarm.com, allows you to remotely arm and disarm your security system. Additionally, you can also receive text alerts anytime somebody arms or disarms the alarm. Similarly to supervised open/close reports, you can also set up time-specific alerts. If nobody disarms the system by a certain time, you will receive a text message. This allows you to make sure the right people are arming and disarming the system at the right times. Alarm.com interactive cellular monitoring can help business owners make sure their businesses open right on time. Because this cell dialer feature is so close to what open/close reports offer, very few customers do both. However, older security systems do not always allow for installing an interactive cellular dialer. Therefore, customers with older security systems either opt for open/close reports or a security system upgrade. In our Tips for Your Security System Upgrade, we even point out that adding interactive features is one of the most popular reasons customers upgrade their alarm systems. Our next idea also utilizes interactive cellular monitoring to provide employee tracking and security. Adding contact sensors allows commercial customers with burglar alarms to easily add a level of employee tracking. Our alarm customers always have contact sensors installed on their exterior doors. After all, these doors are at risk of being broken into and should activate an alarm upon a breach during non-business hours. However, adding contact sensors to additional doors can add a level of employee tracking to your existing alarm system. When paired with an interactive cellular dialer, these sensors provide a text alert anytime an employee opens specific doors. Even if the security system is disarmed, you can receive these alerts on any door(s) of your choosing. Our post detailing Unconventional Uses for Contact Sensors examines this concept from a home safety perspective. However, we also install these sensors to protect sensitive areas of our commercial customers’ businesses. Business owners use these sensors to protect against theft. They also use them to track other events. For example, you can track how many times an employee uses the back door for a cigarette break. 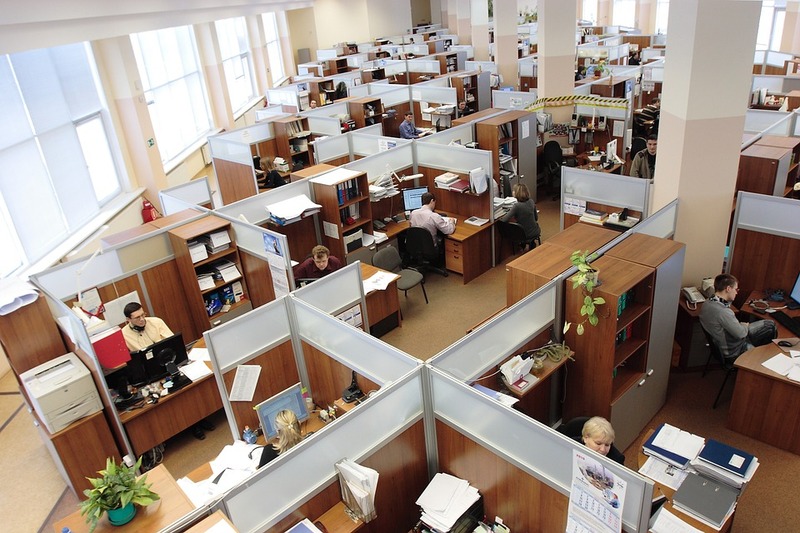 Adding contact sensors can help tremendously with employee tracking, at a minimal cost. We hope this post has given you some ideas to add employee tracking to your own business. You may well have some of these measures in place and want to expand on them. Or perhaps you’re starting from scratch and now have a better idea on how to start. Either way, we encourage you to contact us with any questions you may have about the content in this post. We offer free business site surveys to discuss options for tracking employees at work. While on site, we can address any concerns you have, and also make suggestions of our own. Together we can create a plan to ensure that if an employee does go off the beaten path in an attempt to commit a crime, you will be the first to know.